PDF’s are one of the most commonly used document formats out there in the iPhone and iPad world. You can easily save a word or a page document into PDF, mark up a pdf with your annotations and email it out or save it into your iCloud. Several of our readers requested that we provide an overview along with some practical tips around working with PDF’s in iOS 10. In the first section of this article, we will focus on some of the built-in capabilities to work with PDF in the iOS world. We will also explore how the new iOS Notes app can be used with PDF’s to make things easier. In a later section, we will highlight a few third party apps that are worth looking into. 3 Well, What does Notes have to do with my PDFs in iOS 10? 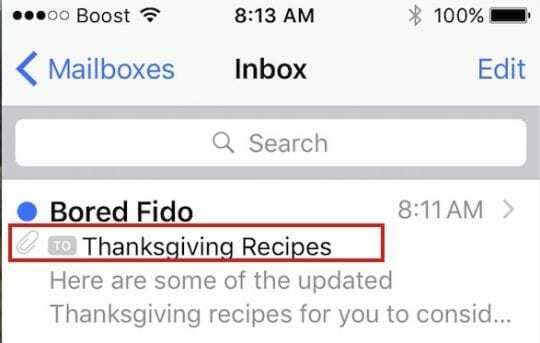 So with Thanksgiving approaching soon, lets assume that you received a recipe pdf from your friend into your email inbox. The plan is to probably look at some recipes together collaborate on the preparations for the festivities. Even before you tap on the mail, you can see that the e-mail has an attachment. 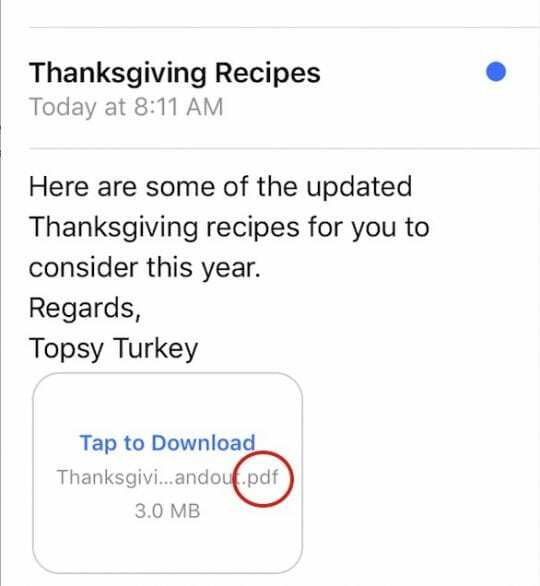 Once you open the e-mail, you can see that the email has a PDF attachment with instructions to “Tap to Download”. Go ahead and Tap on the attachment. It will show “Downloading” and then will complete the download as pdf. 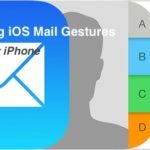 Now, Lets look at some of the key options that are available to you in iOS 10. Gently press and hold on the pdf box and it will show you quite a few options as shown below. 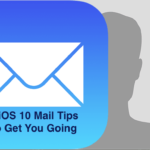 This has been confusing to many readers as they have dabbled with their iOS 10 Mail. Some of the options that you see here are intuitive on their own. For example, if you choose the Mail option, It creates a new email draft and automatically attaches the pdf to the new email. this works well if you had to just forward the attachment to another person. We also like the Quick Look Option on the second row. Tap on it and it will let you preview the pdf attachment. Press Done after your preview and you are back to the mail menu. The Quick Look gives you a peek at the attachment before you decide to take any action on it. The other option available here is to save the attachment into your iCloud Drive. This is really a very handy option since your iCloud drive is available to you across multiple Apple devices. We always recommend that you save your documents into iCloud Drive or if you are using dropbox, that should show up as an option. 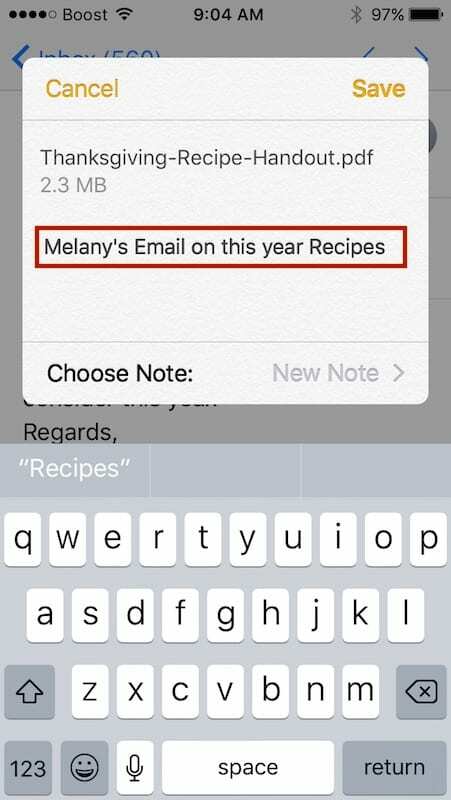 Saving the attachment to iCloud Drive makes it easy to access the document from your iPhone while you are composing new e-mail messages. That way you are not looking through your inbox to search and select the attachment from old threads. It is readily available on your iCloud drive. 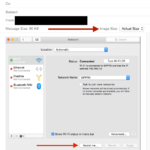 If you have not set up your iCloud Drive yet, please take a look at our post around some of the basics of this feature. Similarly Tapping on Print will allow you to send the PDF to your Printer. Tapping on Markup and Reply will let you annotate the PDF and send it back to the sender. I must admit that the markup feature although available, takes some time to getting used to especially if you are trying to mark it up on your iPhone. It is a little bit easier with the iPad and iPad Pro and on larger iPhones. The best thing to do is to use your Mac if you are planning on some detailed markup and annotations to the attachments. 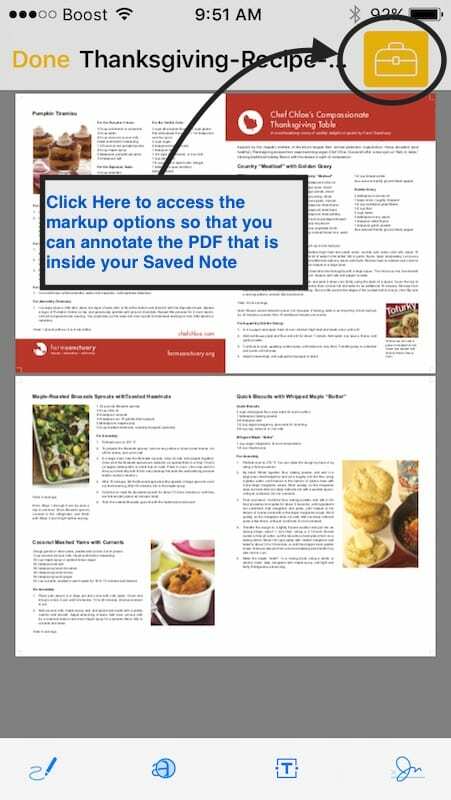 Once you have annotated the pdf, tap on Done and it will create a draft email to the sender with your marked up pdf attached in the e-mail. When he or she receives it, they will find your notes and markup on it. You can always tap on Cancel and not use the markup. Well, What does Notes have to do with my PDFs in iOS 10? 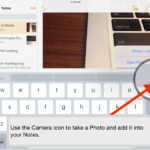 With every subsequent iOS release, Apple has been adding more chops to its Notes app. Among other things, in iOS 10, you can collaborate with others on creating and editing a shared Note. Although I have liked Evernote, the integration in Notes in iOS 10 is beginning to appeal to me. In our example, Tap on “Add To Notes” option from the choices shown when you press and hold the attachment. This will open up a box as shown below. 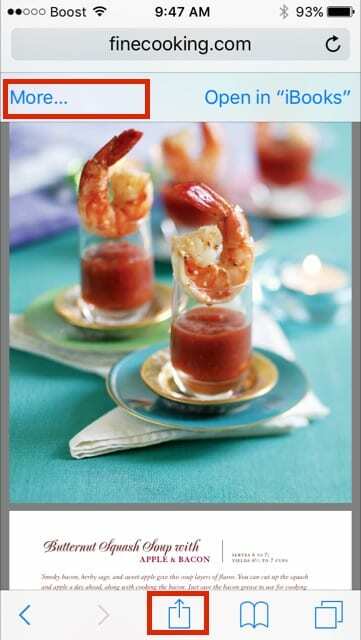 You can save the pdf as a Note, add in a comment qualifying the attachment as we show here. When you add in your comment, it makes it easier to remember what this attachment was all about. You can save it as a new Note or append to an existing note. 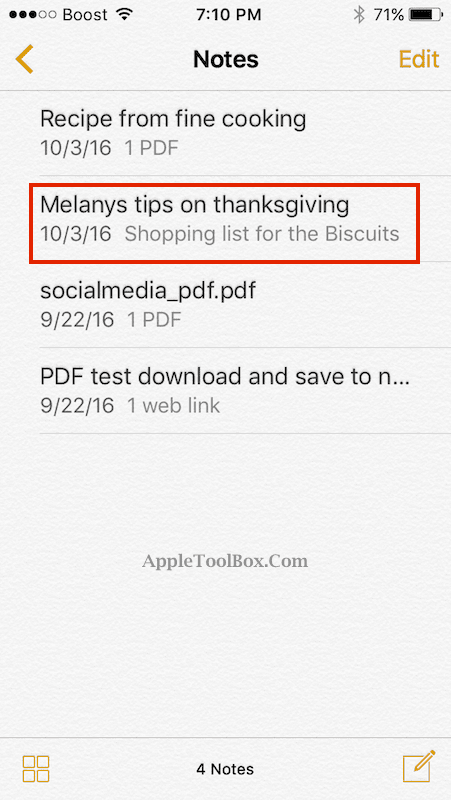 If you were keeping a master list of all the thanksgiving recipes on a single Note, you can choose to append Melany’s new ideas into your existing Note. So, lets go ahead and save it as a New Note with our comments. Once you enter your comments, tap on Save on the upper right corner of the screen. Now, that you saved the pdf as a new Note, lets exit out of your email and go back to the home screen. Tap on Notes and it will show you the saved pdf in your notes. There will be two sets of Notes available. The ones that are saved into your iCloud and the ones that are local to your iPhone or iPad. Tap on the iCloud and your will find that Note has been saved here. You will see that by default, in my case, the new Note/PDF that we created automatically gets saved into iCloud. This is super helpful as we can access this across multiple devices and share it with others. it also tags in all the comments that I added to this note. We will go ahead and open the Note that we saved. Double tap on the Note in quick progression and it will open up the PDF for you and show you all the pages in the pdf document. Clicking on the ToolBox button on the top right corner will allow you to use the markup tools to annotate the Note and save. Since you were able to save it to Notes, you can now leverage some of the iOS 10 Notes functionality to make this thing super useful which would have been tougher if you were doing it with just PDF. 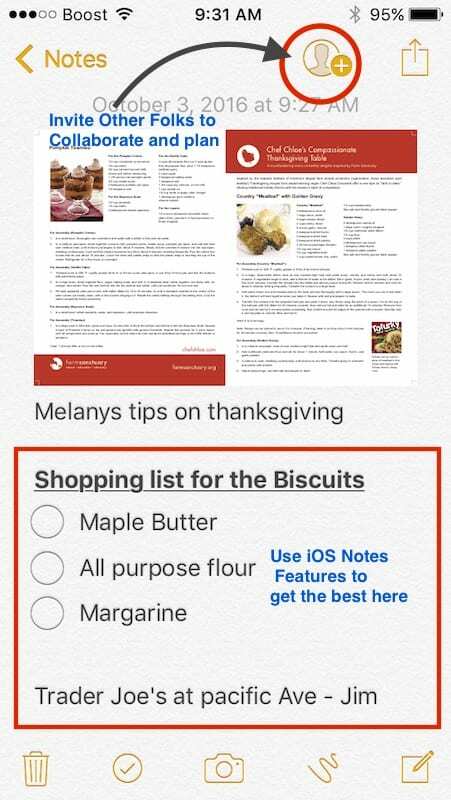 One thing you could do is create a checklist of shopping items based on the selected modified recipes as shown below by using iOS 10 Notes options. 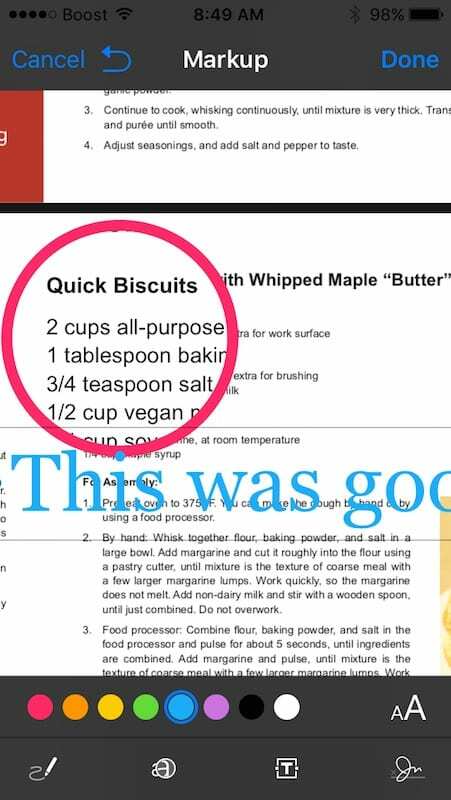 As shown here, you can add a checklist to the Note with your comments, assign people to some of the activities and invite them to collaborate on the recipe planning and shopping. In order to invite them to collaborate with you,they need to be in your contacts. Once you tap the button shown on the right hand corner, the receiver gets a copy of this Note and can start collaborating with you. If you do not want to collaborate but just share the note, then simply tap the share button next to to the collaborate button on the top right hand corner and you can share the document. This is not limited to PDF’s. You can download any of your attachments and save it to Notes in order to edit and markup etc. 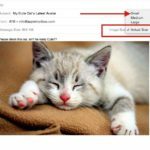 In the first section, we showed you how to work with PDF’s that end up in your device as e-mail attachments. We were able to then save the documents as PDF into icloud drive, or save them into Notes and collaborate with others. In this section, we want to explore how we can save PDF’s from Safari and work with the browser. 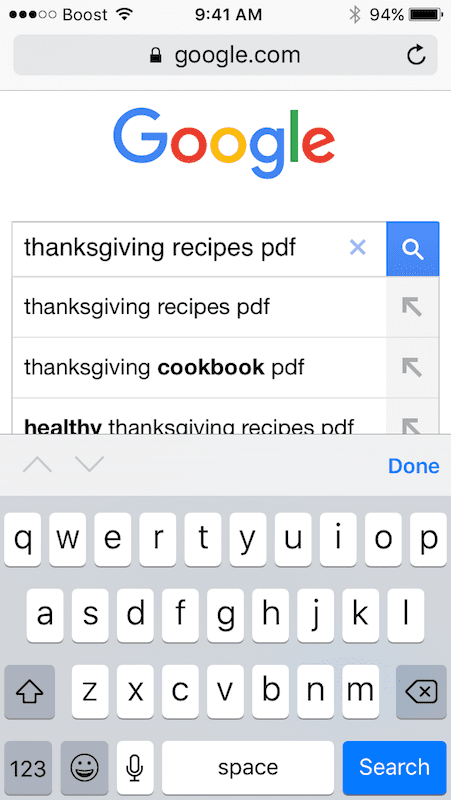 So, lets open up a session in Safari, go to Google.com and search for “Thanksgiving Recipes pdf” as shown below. You will see the search results that are available in the pdf format listed. Tap on one of the results and it will open the PDF. 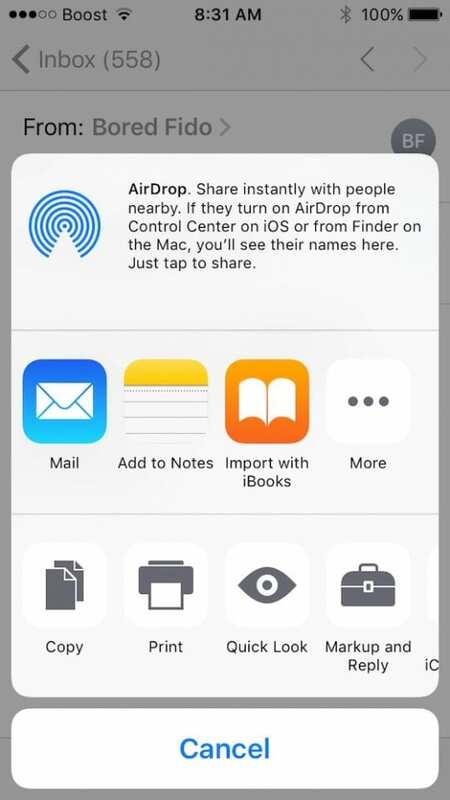 You can either open the PDF using iBooks or Tap on More and Choose the other options that we have covered including saving it to Notes or iCloud Drive or simply tap on the Share button to share it with others. 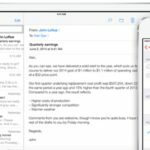 Although there are many ways you can take advantage of the iOS 10 features and stay productive, we have highlighted some of the common integration aspects when it comes to working with PDF’s and other attachments on your iPhone and iPad. Go ahead and give it a try! There are also lot of third party apps available out there that can help you with some of this. We are sure there are better ways to do this as well just using iOS 10. 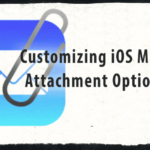 We wanted to give you a sense around the options of working with attachments and Notes in iOS 10. You can also read about our iOS 10 Best features for the Average Jill and Joe if you are just starting with iOS 10. 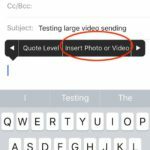 What are some of your favorite tips when it comes to working with different attachments on your iPhone and iPad using iOS 10 Mail ? Our contact management website has links to PDF documents, which open correctly using Windows browsers. Sometimes you have to save the file and then open it in Adobe. However, using iPad or iPad, which uses the Safari browser and the iOS operations system, the document opens in a garbled, unformatted display. My question is, will Apple or any other tool allow opening and displaying a PDF document file from this website link in iOS Safari? Bill, We are able to download and see PDFs’ from other sites without issues. This sounds like an issue with your management website. Please check with your developer and see. Also try and see if you can download the PDF using safari on other devices. Could be that the problem is limited to the device you are trying on.